Sure, sure, things have been a bit slow around here what with con season ending and all that, but never fear because the close of the new year only means...con season will start again! That's right, folks, we've compiled a list of queer conventions we would like to attend in 2017. Unfortunately, we won't be able to attend ALL of them. Tables at conventions are pretty expensive, so we narrowed our list down to a few choice sites and we're really excited! Here's where you come in! 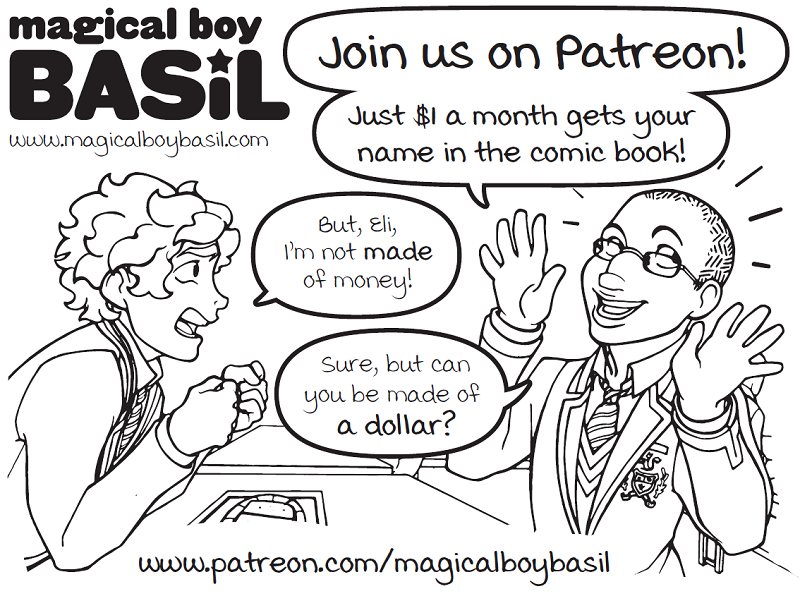 If you'd like to help support the comic, please join us on Patreon or check out our shop! Not only do your donations and purchases go toward feeding Beckah, it helps us afford tables at the conventions where we'd make the greatest impact. And who knows! Maybe we'll see you there! No Basil! I've seen this movie! Don't go up there! Groupthink #7, What's it Gonna Be?! It's already the middle of November?! Where did the time go!? Well, I guess that means it's also nearly time for November's groupthink to come to a close, and we need your help! Right now, we've got a tie between the top two suggestions: Mace participating in No Shave November vs Someone taking a sunset walk through the fall leaves. This week will be the last chance for you to vote for one of these or you can suggest your own idea! Just head over to Patreon and let us know what you think!